Most Christian testimonies begin by explaining how the Lord miraculously saved them out of their sin; how He delivered them out of darkness and brought them into His marvelous light. My testimony is similar and you can listen to it at this link. However, my testimony doesn’t stop at my salvation. It has a second chapter, which began after I became a believer and it shows how the paranormal has become my new normal and how the supernatural is the natural when it deals with the things pertaining to God. It was nearing 3:00 a.m. on a September night in 2010, and I was praying fervently for an answer to a question about what I should do with my newly founded ministry. A few months prior, my wife Toni and I had closed our 22-year old mortgage company to start Prophecy Depot Ministries. This life changing decision came on the heels of authoring my first book entitled, Isralestine, the Ancient Blueprints of the Future Middle East. 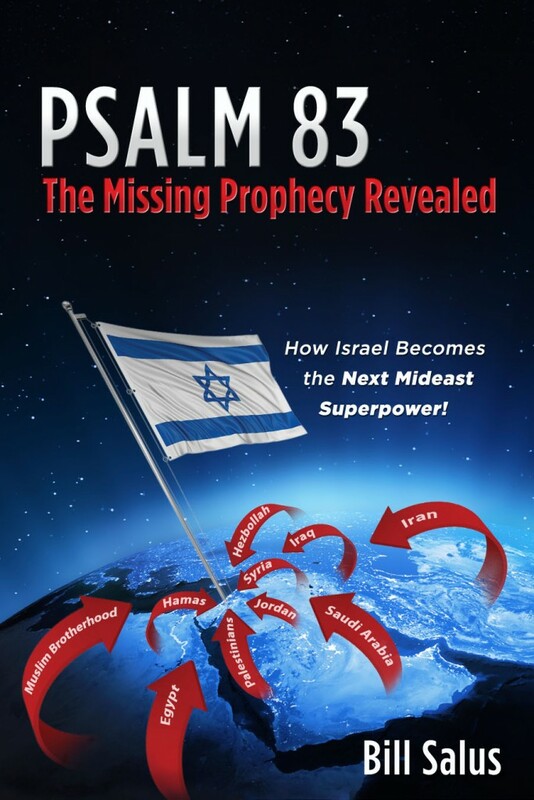 Isralestine alerted many top Bible prophecy teachers, like Hal Lindsey, Dr. Chuck Missler, and Dr. David Reagan to the vastly overlooked Psalm 83 Bible prophecy. They and several other high-profile prophecy experts began teaching from Isralestine and that created a Christian speaking and media platform for me. This, along with hours of prayer, prompted me to embark upon a full-time ministry. After only a few months, I found myself struggling with my decision and this led to the eventful 3:00 a.m. prayer. The prayer was for confirmation about whether I had made the right decision to get into full time ministry. I pleaded with the Lord for an answer as to if I should do full time, part time or even no time ministry. When I came to my wits end in the prayer, I fell fast asleep. 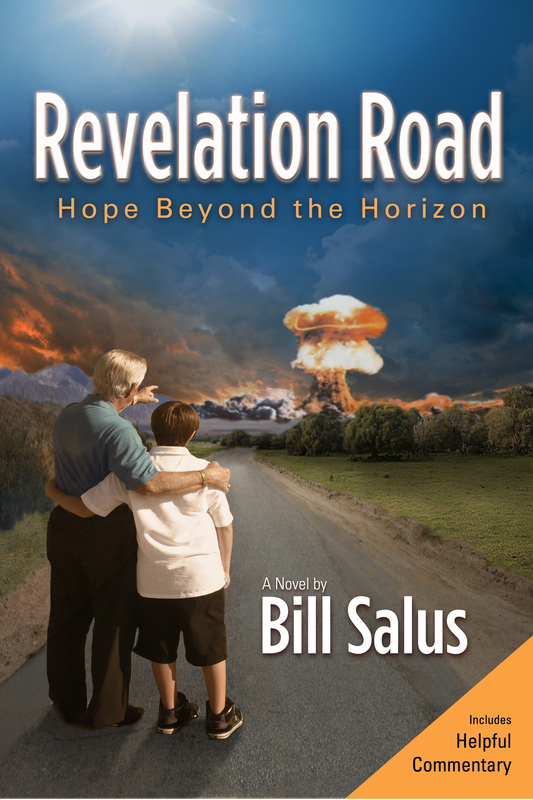 That kind ministry partner blessed me with a full year’s salary so that I could devote my full attention to authoring my book entitled, “Revelation Road, Hope Beyond the Horizon.” Since that book, I have remained in full time ministry and have presently authored a total of six books. The supernatural story picks up again a few years later in 2013. Meanwhile, I had authored my third book called, Psalm 83: The Missing Prophecy Revealed, How Israel Becomes the Next Mideast Superpower. This was an updated version of the Isralestine book and it rapidly became an Amazon bestseller. It was featured on Christian TV shows like TBN’s Praise the Lord, Sid Roth’s, It’s Supernatural, Daystar TV with Marcus and Joni, the Jim Bakker show, Jewish Voice with Jonathan Bernis and many more. Having written three books that all dealt with biblical prophecies predicting how Israel would prevail in wars with all their present and future enemies, I was pleading with the Lord as to when this series of ancient foretelling’s would find fulfillment. For almost two years, I prayed the Genesis 12:3 prayer over these prophecies. 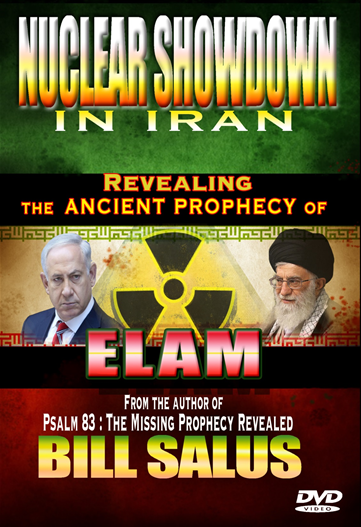 At the time that I received this revelation, I was authoring my fourth book called, Nuclear Showdown in Iran, Revealing the Ancient Prophecy of Elam. This was about another prophecy, like the Psalm 83 prophecy, that had been vastly overlooked. The predictions are penned in Jeremiah 49:34-39. My plan for this book was to simply explore and explain the basic details of the prophecy, but the Lord had much more in mind. He introduced me into relationships with key Iranian Christian leaders who educated me about the supernatural evangelism taking place within Iran. I discovered that miracles, dreams, visions, healings and personal encounters with Christ were occurring in Iran. The Lord showed me what He meant when He reminded me THAT HE IS A LONGSUFFERING GOD! Then came the spiritual dreams. Having become familiar with the supernatural dreams and other miraculous events taking place in Iran, I received some personal dreams of my own. The first one resulted in the title of my fifth book entitled, The Now Prophecies. I write about this in the opening chapter of the book. Below is an excerpt from the book that explains the dream. It was 1:59 a.m. on the early morning of Friday, October 16, 2015, when I was awoken from a dream by a phone call. It was an unfamiliar phone number from an overseas country. I initially thought it was my phone alarm ringing, which had been set for 6:30 a.m. to take my grandchildren to school that morning. This was going to be a special occasion as my wife and I were visiting them on vacation. This reasoning might strike you as odd, considering the fact that I was awoken from a dead sleep and my mental faculties were far from functioning. I mean, it was dark out and I hadn’t even ingested my first cup of coffee, which essentially means, I’m operating in do not disturb mode! However, it was the dream that got me thinking this way. It provided me with the impetus to get up, rather than sleep in until the alarm would go off at 6:30 a.m. I recognized that if I went back to sleep I would probably forget the details within the dream. So, I got up to pray about the dream. I even saved the phone number from the mysterious caller and a few days later returned the call, but guess what? It was a wrong number belonging to someone, somewhere in Africa who doesn’t speak a word of English. Did man’s mistake equal God’s providence in this matter? I believe that the errant phone call served as an important wake up alert to get me working on the NOW Prophecies project. In the dream, I was aware that the Lord was speaking to me. The message He gave me was simply, “I want you to name your next work, The NOW Prophecies!” I had spent a good part of 2015 preparing some new teaching messages, and the focus was on preparing for the prophecies that appear ready to find their fulfillment. Thus, this title was perfect, a godsend. “That’s it,” I said to myself inside the dream. “That’s what the Lord wants me to do. He has given me the perfect name for my next project.” Still dreaming, I marveled in a blissful state about this inspired message. A few minutes into my bliss the phone rang, and all of the above occurred. Immediately after dropping the grandkids off at school that day I began writing “The NOW Prophecies.” The words flowed from my fingers to the keyboard like a fountain overflowing with water. The culmination of my years of research was being encapsulated into an easy to understand book and DVD that would be made available for the average American household. 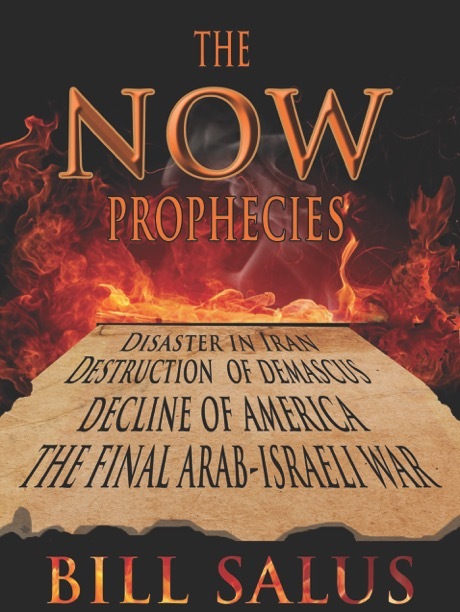 The NOW Prophecies are the unfulfilled ancient biblical predictions that appear to be imminent, which means they could happen NOW! These foretelling’s have either minor or no remaining preconditions inhibiting them from happening. Among them, in my Pre-Trib humble mindset, is the Rapture of the Church. While authoring the Now Prophecies book, I had a dream about the Rapture. As I neared the cloud that I was floating toward, my third thought was, “I should look around and see who else is being Raptured.” As I peered panoramically about me, to my chagrin, the clouds were few and far between and not many people were being caught up into them. There was a solo individual here or there or in some instances, a small family in view, but that was it. Then came my fourth thought, which was about the narrow way spoken of by Jesus Christ. This reality about the narrow way is what I sadly recognized in my Rapture dream. There are many people living today, that if the Rapture were to take place, they would be left behind. This troubled me immensely and became the compelling factor behind the writing of my last book entitled, Apocalypse Road, Revelation for the Final Generation. It was in the summer of 2017, when I heard from the Lord again. Unlike the message I received after two years of fervent prayers written about earlier in this article, this word came instantly to me. 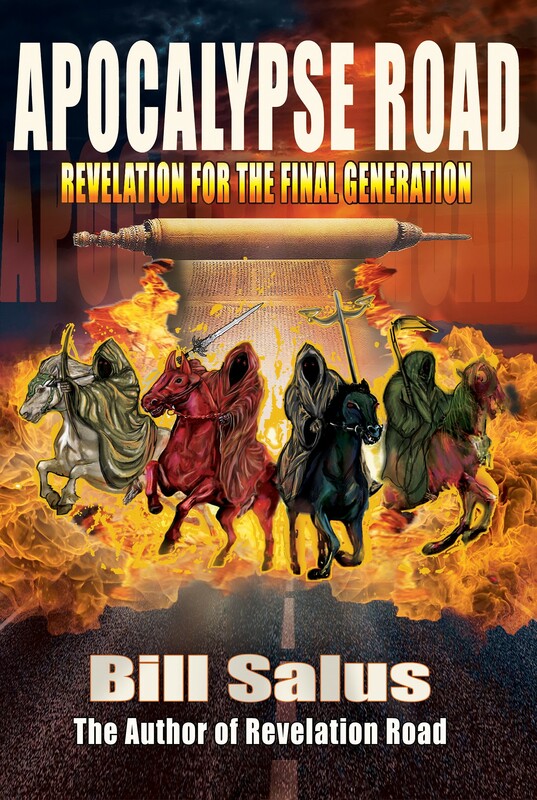 The Apocalypse Road book, which is the sequel to Revelation Road, was already published in January of 2017, and I had been praying about the final generation. My thoughts took into consideration a strong understanding of the perilous events that are predicted to happen to the final generation. Also, I was concerned for some loved ones, who I believe might be left behind to face the coming tribulations. Do you hear the voice of Jesus Christ? Have you received Him as your Savior? If you haven’t yet, but would like to make that commitment now, then read this link to learn how.